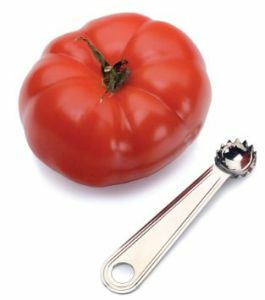 This Tomato huller is Stainless steel and huller scoops core easily and effortlessly. The motion is easy and quick - just pierce the fruit and turn. Also see Apple Corer, Pineapple Corer, Acocado Slicer, Mango splitter.